Size of this preview: 800 × 555 pixels. Other resolution: 1,200 × 833 pixels. 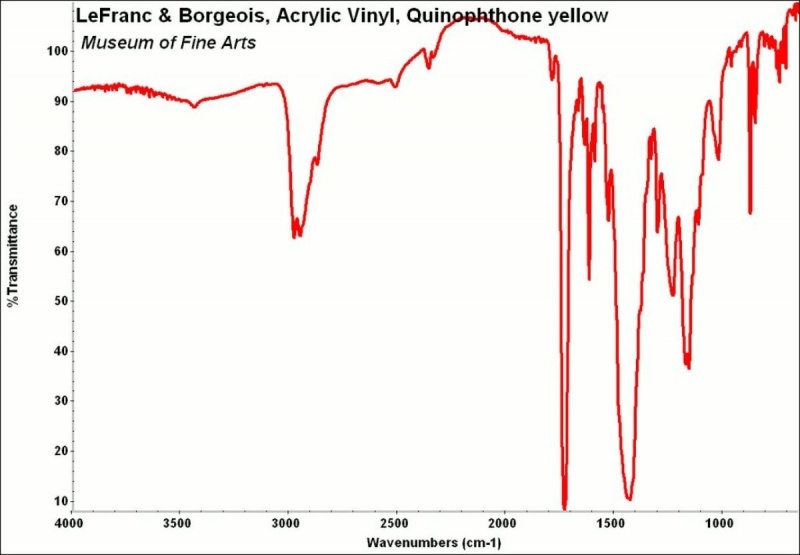 Dried yellow paint containing absorption bands for binder, calcite, and quinophthone yellow. Spectrum collected using a microdiamond cell. Credit: Scientific Research Lab, Museum of Fine Arts, Boston.